Helena is the first child of infamous Infernian Basilio Lykoi and former slave Natalia Severoskoy. She is the current Quartermaster of Salsola, and she was previously a dirty coyote in now disbanded coyote clan - Inferni. She is a key member and matriarch in the combined family of Valkoich, which is the mashed name of families Valentine, Lykoi, & Ulrich. Her mates are Till Van Ulrich-Lykoi, & Calla Valentine. She is the biological mother of Stelmaria, Mekhl, Oiseau, Baie, Freyja, Rufus, Pontifex, Eusebia, & Raito(Ulrich-Lykoi. She is the adoptive mother of Coaxoch, Priya, Dirge, Chester, Julius, & Spartacus. She was the master of Andrew Winthrop, whom was captured by her sometime after the fall of Inferni. After 7 months of him serving her, she decides to name him as a freedman, and later on has two bastards from him (in secret) by the names of Rufus and Pontifex. Helena does NOT show Redtooth any preferential treatment while around other members of Salsola. 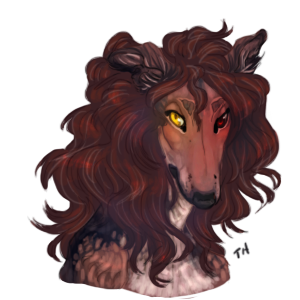 Species: Despite what her blood would say Helena looks almost completely doggish with just slight hints of her coyote father. 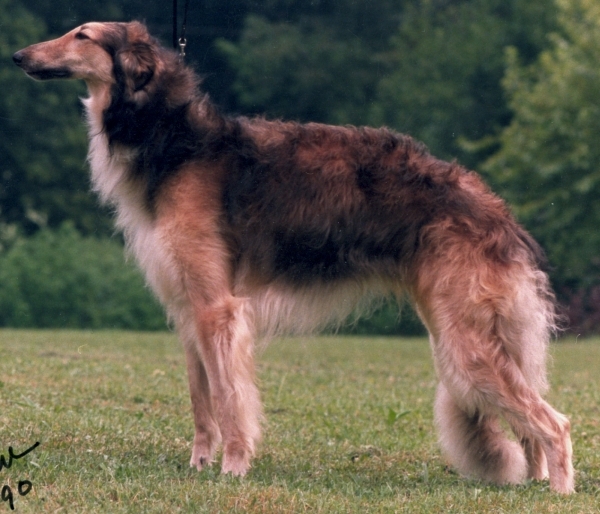 She has heavy Borzoi features coupled with some spotted Australian shepherd mottling. Fur: Helena's fur is long and flowing, soft and silky to the touch. 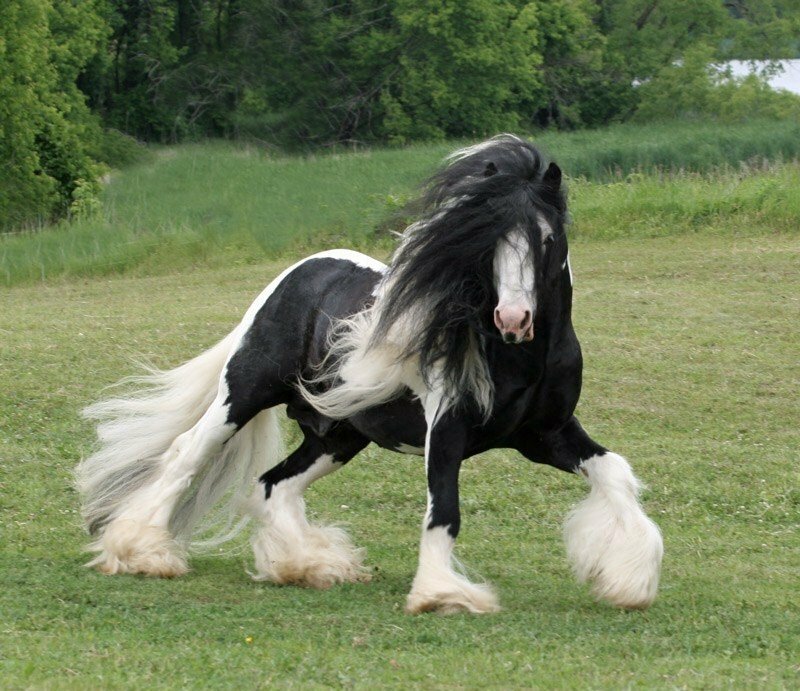 She has especially long fur at her elbows and the backs of her legs and tail. Optime Hair: Helena's hair is extremely curly to the point of being riotous and unruly. Facial Features: She has an elegantly long nose and adorable babydoll eyes. Scent: She always smells like flowers or some other pleasing fragrance. Disfigurement: Helena is somewhat vain and very proud of her beauty, she would be horrified if anything were to happen that took away that beauty. 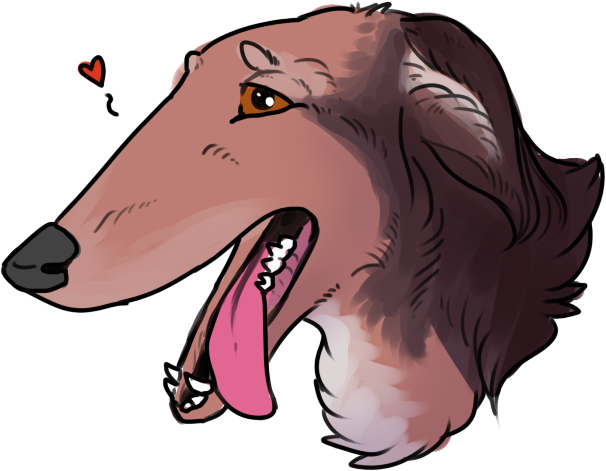 Species: As a wolf-dog-coyote hybrid Helena is not really biased towards any species. Non-Luperci: Pities them, thinks them lesser or stupid. Natalia Severoskoy is Helena's mother and is pretty much the most important person in Helena's life at this moment. by Andrew Winthrop: Pontifex, & Rufus. Extended: Much of Inferni; refer to Lykoi, Kimaris, Sadira and Damaichu families.